The eatery will offer up corn flake-coated French toast in the morning right through to after-work drinks and snacks. Ever find a cafe that is so nice you don't want to leave? You've finished your brekky, read the paper back-to-front and you're even contemplating a third latte just so you can stay a little longer. Well, at Wild Sage's new Barangaroo cafe, you won't be rushed out the door. Open all day for breakfast, lunch and dinner — with a new dinner menu coming soon — it's set to be a space for lingering over lunch or turning an afternoon coffee into after-work drinks. The new eatery is a sibling to the Cammeray cafe of the same name. Moving across the bridge to take up residence in The Streets of Barangaroo, Wild Sage number two shares the original's all-day dining ethos, with a focus on after-work drinks for professionals in the area. The menu stretches from crunchy corn flake-covered brioche French toast for breakfast, through to lunch, which includes favourites such as the braised beef sandwich and the glazed pork belly lollypop with zucchini ribbon and sesame seeds. But it's the evening where things get interesting, with a menu of share plates, ideal for after-work groups. A real focus has been put on the drinks menu too, with an extensive beverage menu now boasting over 60 wines, 20-plus traditional cocktails, as well as a big selection of beers and spirits. 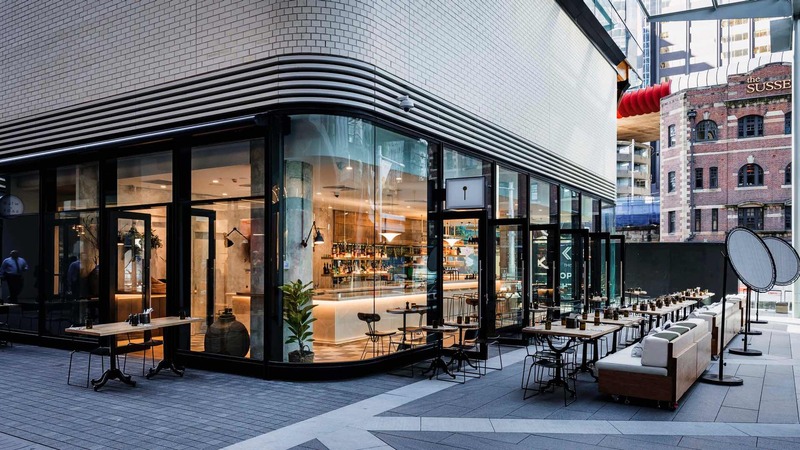 It's another offering to add to the slew of after-work venues down by the water at Barangaroo, like Banksii, Belles Hot Chicken and 12-Micron. Wild Sage is located at Exchange Place, 3 Sussex Street, Barangaroo, and is open from 7am till 11pm seven days a week. For more information, visit wildsage.com.au/barangaroo.